Hi Everyone! Hope this post finds you in good spirits! If not, I'm sure viewing some great photo art from all around the world will brighten your mood. Yes, it's time to display your photo ART in our virtual gallery, aka Photo Art Friday! Hard to believe it's August already!!! 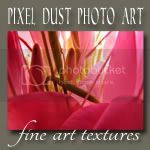 You can showcase any piece of photo art here with our link-up OR you can share a piece that follows this edition's optional theme of FLOWER photo art made using at least one Pixel Dust Photo Art (pdpa) fine art textures. 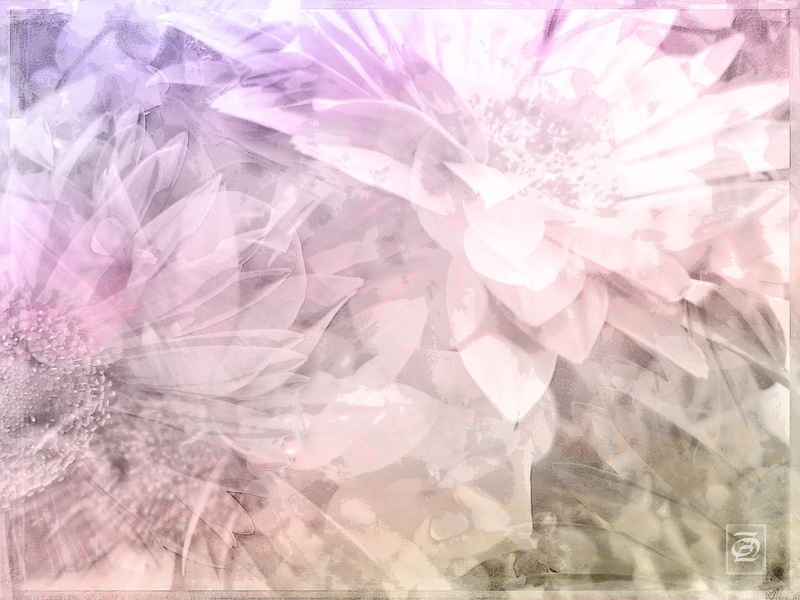 Here are a couple of pieces of my flower photo art. Hope you enjoy viewing them. I'm really looking forward to viewing all of your digital creations. Aren't we lucky to live in a time where we can share with other like-minded artists simply by the click of a few buttons? Amazing! 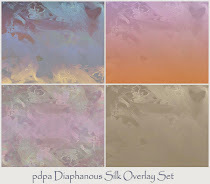 Here, gerbera daisies in a pot on my deck have been layered with a couple of my textures to make a sweet piece of photo art. This image is on the July page of a 2013 calendar I made with my photo art, so I have been enjoying it for a month and thought I would share it with you. A macro photo of a gorgeous cleome flower (they are taking over one of my flower beds this year!) 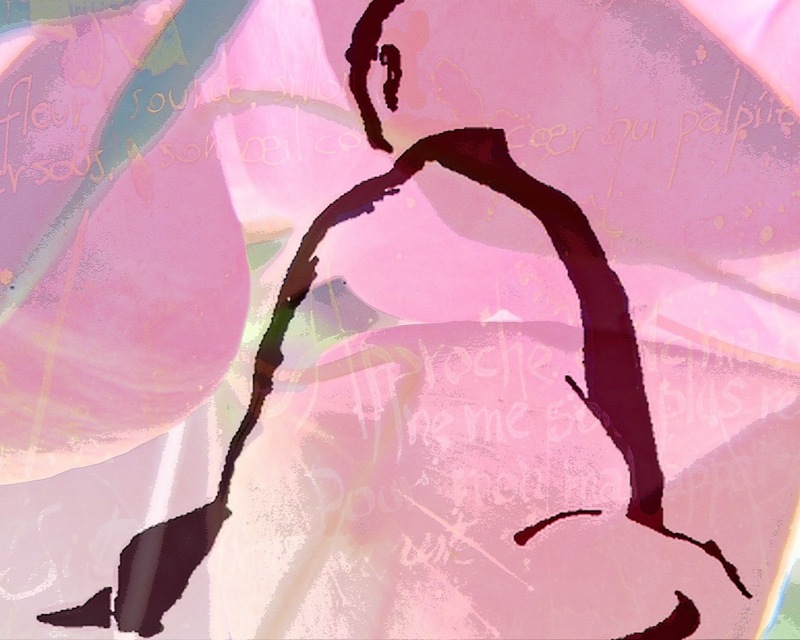 has the silhouette of a monk and one of my scripted textures added to make a little piece of art. Perhaps I'll include it in a calendar for 2014. Our next Photo Art Friday will be on Friday, September 6th. Water comes in so many forms that it should not be too hard to take or find a photo that you can digitally make into a piece of art. Think: droplets, tears, puddles, rain, splash, rapids, ponds, ice cubes, etc. etc. Have fun!!! BEautimosity, Bonnie!! They are both splendid! So nice to "see" you again. Happy August!! I've come out of hiding just for photo art Friday! Okay, I love what you did so much to that second piece of art, so great! Great to be back to PAF! 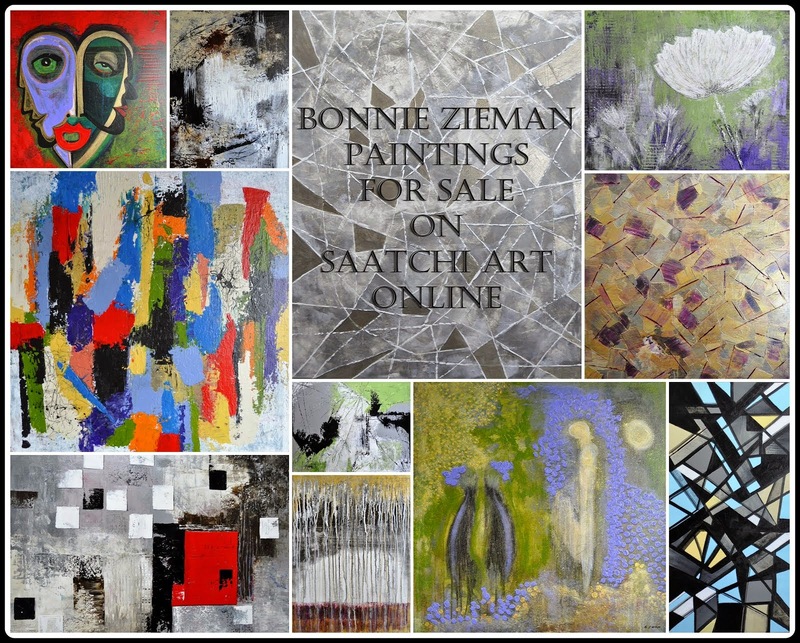 Beautiful pieces, Bonnie - as always! Can't wait to catch up with all my PAF-buddies and see what they've come up with. I thought this day would never come ... and you didn't surprise me with your wonderful art. You have always inspired me ... it was hard to find ways to express myself artistically while you were gone (sorry to burden you with that :) Anyway ... great to have you back and I am so happy that your summer was rewarding and relaxing. 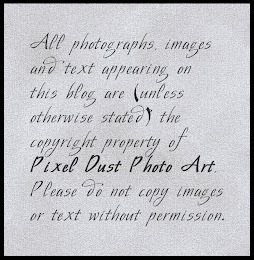 Your talent is far beyond what we can do on our blogs and you should spend time on it, first and formost. Once a month is great and I am already thinking "water"! Oh how lovely. Each one is perfect in their own way. I love the sparkly look of the first one. It's so pretty. The 2nd piece is very calming and has a bit of an abstract feel to it. Good to be back. Lovely! And so nice to be back.. It is nice to be back:) And I made it just in time! Beautiful work - love those pinks! Thank you, Bonnie, for hosting us once again. I really like your second shot and found it to be like some of those art works where you see a young woman or an old woman depending on where you focus. You may have added only 1 monks outline but I see 2. Once I knew I was looking for a monk I at first didn't catch the seated figure but if you disregard the head of the monk, the rest of the crimson lines resemble a hooded figure (monk) from behind. Pretty cool! Yes, pretty pictures are gorgeous, I like the colors and textures! Hope you will come by! I love you flower shots, and your gorgeous edits. I have missed this. I guess I'm late too, here's a link to mine. I'm glad you're back. Unfortunately I was too late with my link. Wonderful!!!! Thank you for inspiration! what a great idéa to make a calender of your art. The one you share is very nice. Love the soft colors.